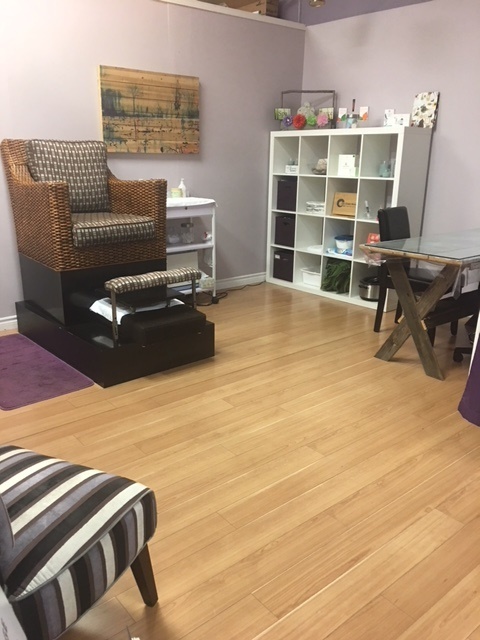 Our store is big so we felt the best way to further service our customers at Vivacious is to allow them to pamper themselves! The Spa @Vivacious is a comfortable spot where you can relax get your nails done, rejuvenating facial or body massage along with all waxing services. At Vivacious we go all out. There is only one level of service at the Spa @Vivacious, with all the spa bells and whistles. All nail services include Arbonne products both salt or sugar scrubs and lotions along with hot towels to wrap your feet or hands before you have your favorite colour of polish applied.